Patel's visit is being seen as significant since Sena has been trying to woo the Gujarati community in its fight against the BJP in Mumbai city corporation elections. 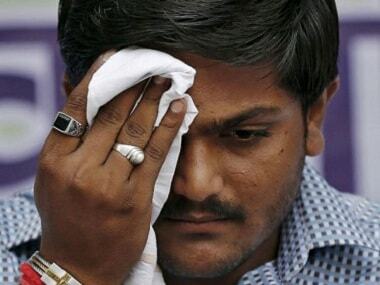 "Our friendship with Hardik Patel will be lasting. Until the other person breaks relations with us, we do not leave their side. If needed, we will fight Gujarat Assembly polls as well and Hardik will be our face," Thackeray said while addressing a joint press conference with Patel. Giving indications that the Sena is ready to pull out of the Maharashtra government, in which it is a partner of the BJP, Thackeray said the government is on a "notice period" as of now. 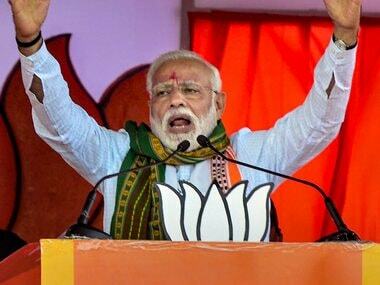 "Like the Code of Conduct is for a certain period, the government too is on a notice period and when the period ends will be known by all soon," Thackeray said. "From the last several months, Hardik wanted to pay his respects to the memory of Sena founder Balasaheb (Thackeray) and thus he came to Matoshree. 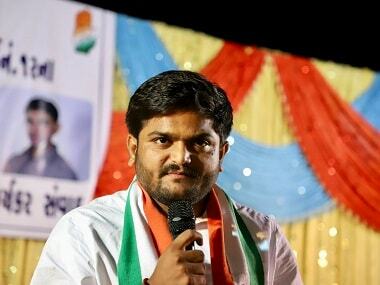 Sena and Hardik are together in their fight for justice," he added. Patel, who had taken on the BJP government in Gujarat by spearheading a stir demanding quota for the Patidar community, said Maharashtra is a land of warriors and that the current struggle is for a social change and to deliver justice to people. "I have always been inspired by Balasaheb's thoughts. His thoughts are inspiration for the youth. Be it Gujarati or Marathi all are my friends. Meeting anyone cannot be a political issue. One should be in contact with 'good' people," Patel said. Thackeray said the decision to fight the upcoming civic polls sans BJP was taken as there were "no heartfelt feelings" to fight in an alliance.